When acting as the IdP, once a user has authenticated initially with Foldr, they can then automatically sign into other third party platforms such as Google G Suite or Office 365. Templates are also available for commonly used SPs or new SPs can be configured from scratch. Once the IdP role has been enabled and configured, the Foldr administrator can enable each configured service to appear in the new ‘My Apps’ panel in the web interface to provide convenient links to pre-configured SSO services as shown below. If the user clicks the Service Provider (i.e. ClickView) they will be signed in automatically to that web based service. IMPORTANT – The Foldr appliance must be able to authenticate with the directory before attempting to add service providers. Check within Foldr Settings >> General >> Test Settings that users accounts can authenticate and that the service account is configured as below. Select the appropriate SP template as required or select NONE if you wish to configure a different third party SP that is not listed. 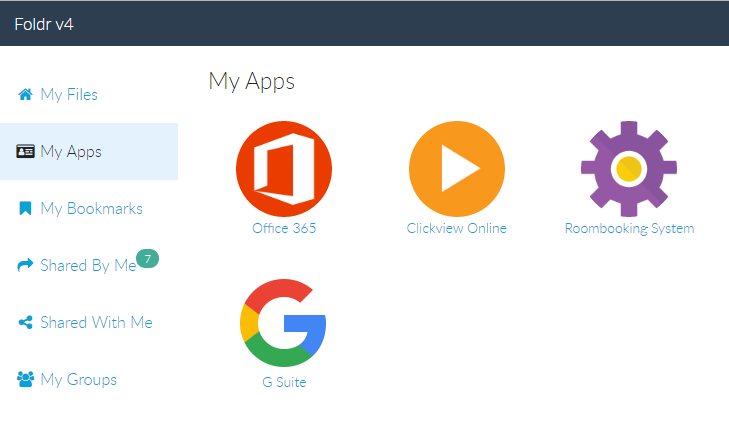 Instructions for Office 365 & G Suite are available under the Tools tab when you are configuring either service. 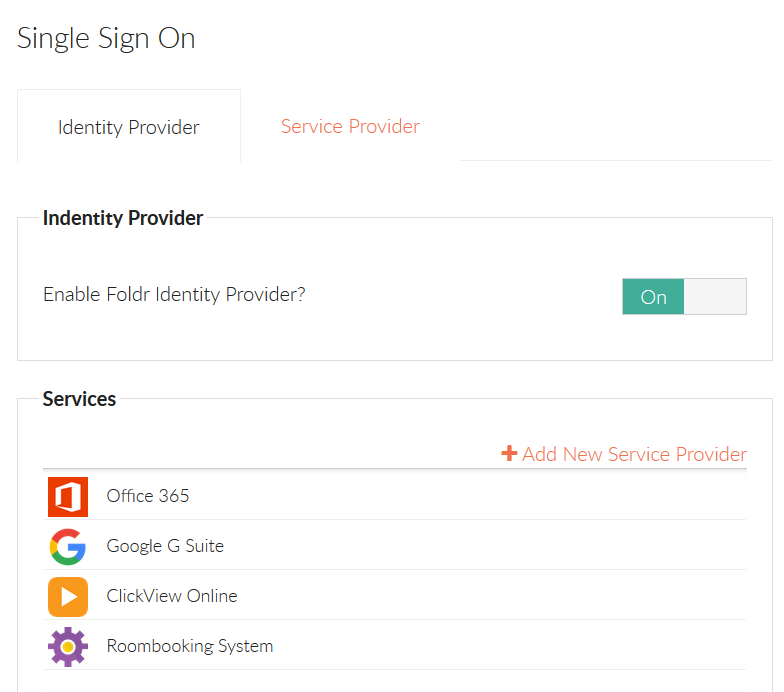 Any other third party service that supports SAML (SP) single sign-on can be added to the Foldr IdP and presented to users in the My Apps section of the web interface. Please ask the service provider for the required SAML configuration.